Oklahoma Connection | Coats is a graduate of Oklahoma City’s Northeast High School. Andrew Coats was named among the “50 Most Powerful Oklahomans” in 2006. Andrew M. Coats graduated from the University of Oklahoma with his B.A. in 1957 and served in the U.S. Navy, where he served as naval adviser to the Chinese Nationalist government in Taiwan, until 1960 when he returned to the University of Oklahoma College of Law. He was editor of the Oklahoma Law Review and graduated in 1963. 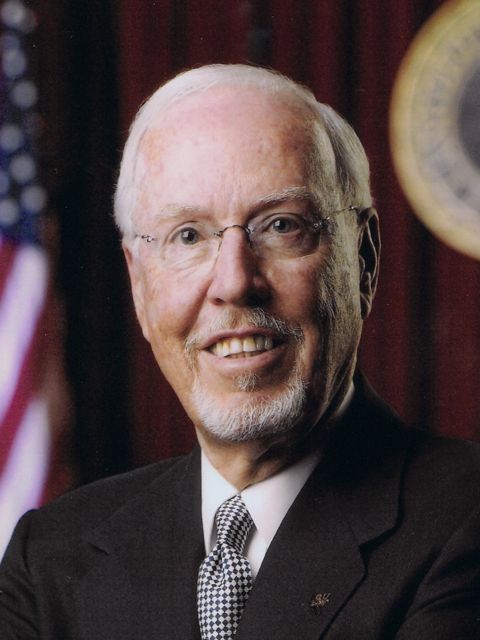 He served as District Attorney of Oklahoma County, Mayor of Oklahoma City (1983-1987) and was president of both the Oklahoma Bar Association and the American College of Trial Lawyers. He is a trustee of the U.S. Supreme Court Historical Society and was the charter president of the Oklahoma Chapter of the American Board of Trial Advocates. Coats was appointed as the eleventh Dean of the OU College of Law and sixth Director of the Law Center in 1996. OU Regents named the new law school building “Andrew M. Coats Hall” in his honor. See pictures of Andrew M. Coats and other media HERE.